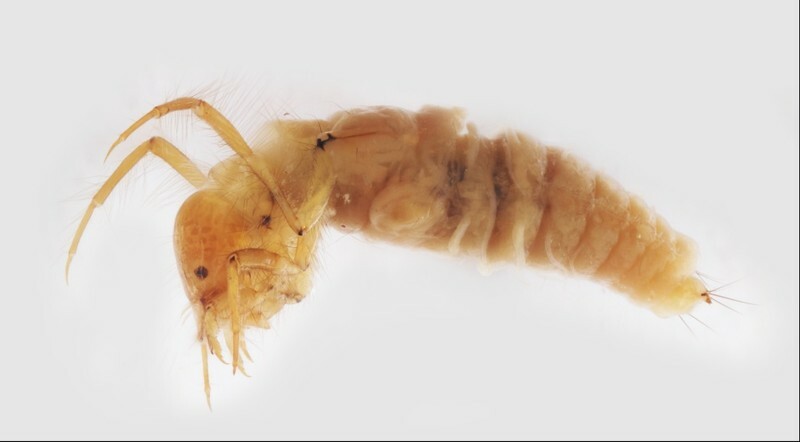 This is the only group of caddisflies with “long” antennae. 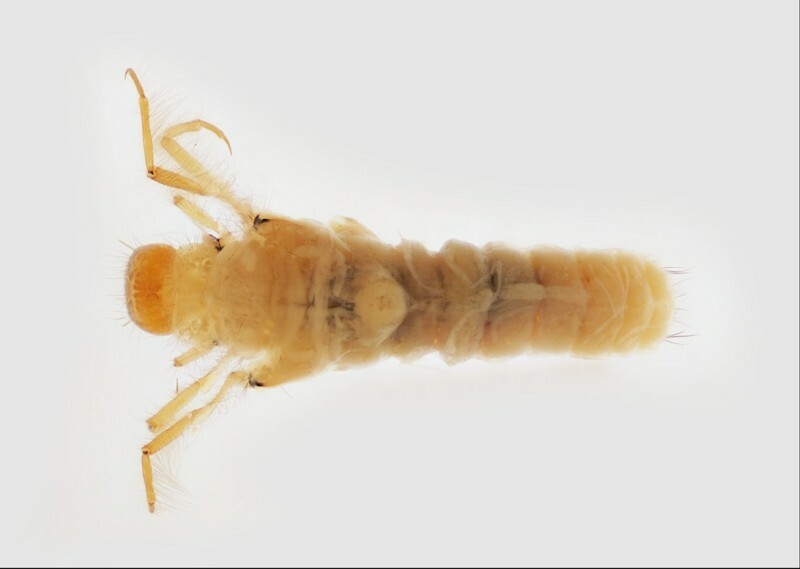 In larvae, the antennae are “6 times as long as wide”, meaning they are small, thread-like antennae, as compared to most larval caddisfly antennae which are barely visible as small nubs. As adults, the antennae are extremely long, much longer than the animal, especially in males. This is also one of the few families with bright colors on the wings, thought to be mainly day fliers. These traits may be due to sexual selection, much like a male peacock with his showy feathers. 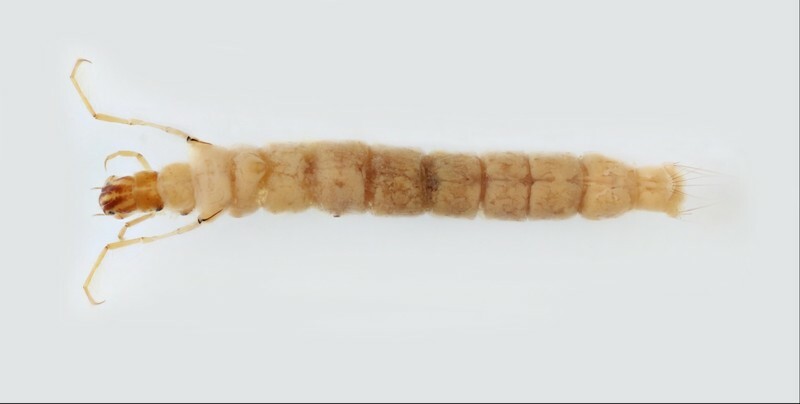 The larvae are relatively small when mature, only ranging 7–15 mm. 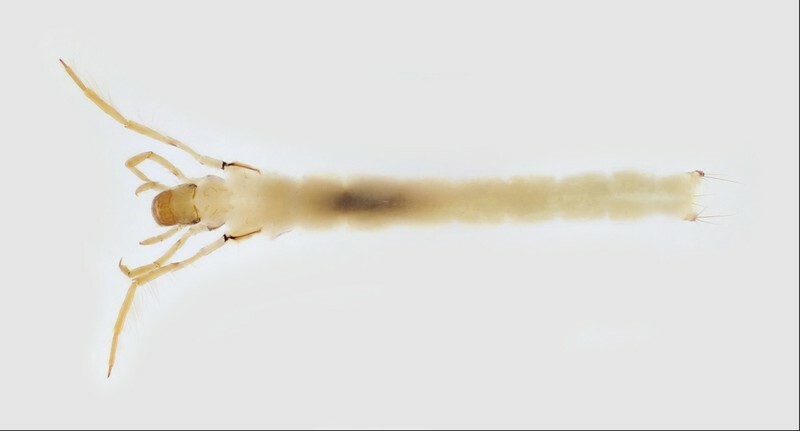 Representatives of this family can be found in any still or flowing water habitats, and create widely varying cases of plant or mineral materials or even pure silk, have varying habits (climbers, sprawlers, clingers, swimmers), and eat nearly every type of food, all of which are more particular at the genus and species levels of taxonomic refinement. 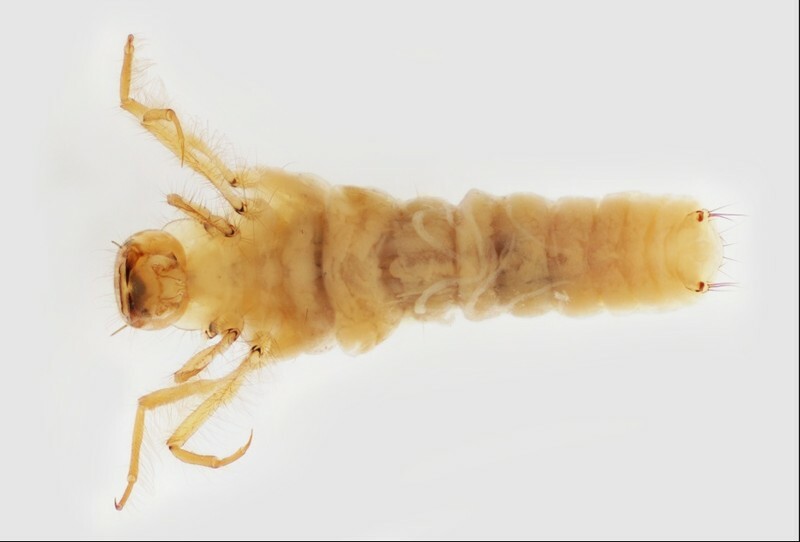 Family: Antennae usually long for caddisflies, at least 6 times as long as thick. Mesonotum light in color, except sometimes with pair of dark curved lines; these lines present in species with short antennae. Metanotum membranous. 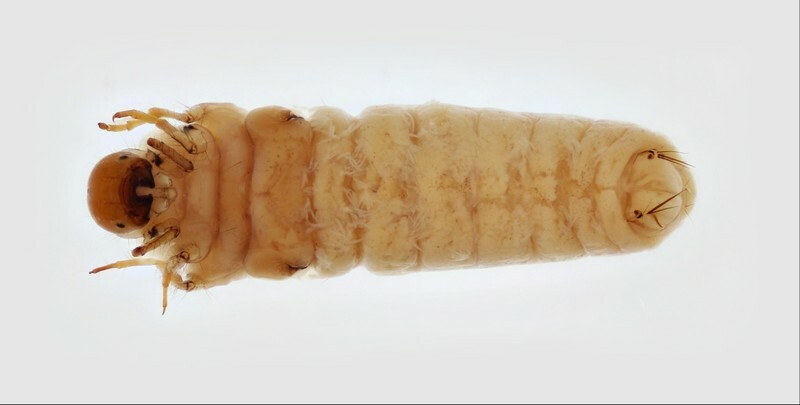 Larvae constructing portable tube-shaped cases of various materials and shapes.